Knuckles here.... Guess What? I watched over HH’s shoulder the other day as she scrolled through the blog, and she discovered that we started the Sunday Funnies over a year ago. 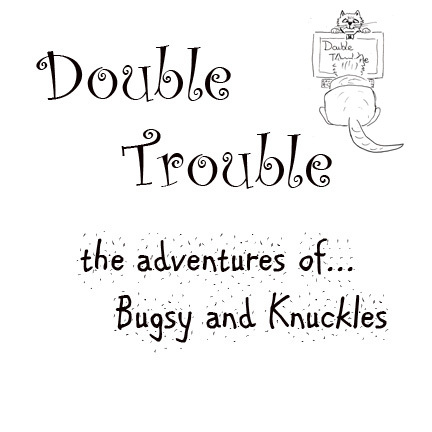 In that time, we put out a book and drew the whole alphabet and beyond. Now, we’re not sure what a vacation is, but we’re all for it if it doesn’t interrupt our eating…. So we just wanted to let you know that the Sunday Funnies will be on hiatus until May 17, 2015…. Don’t forget to come back then. We’ll have lots of new stories to tell. 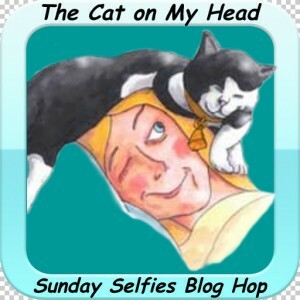 As always, we are participating in the Sunday Selfie Blog Hop sponsored by The Cat on My Head blog. Join in. 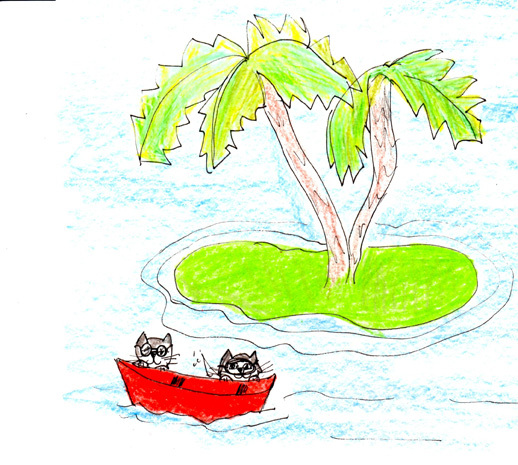 This entry was posted in The Boys and tagged bugsy, cat art, cats, Double Trouble, feline art, humor, Knuckles, Lou Belcher, Sunday Funnies, whimsy. Bookmark the permalink. I love your double selfie! And yes, you deserve a break! Have a lovely break. Have a serene and easy Sunday. I will miss you. Look forward to your adventures. Have a great vacation. 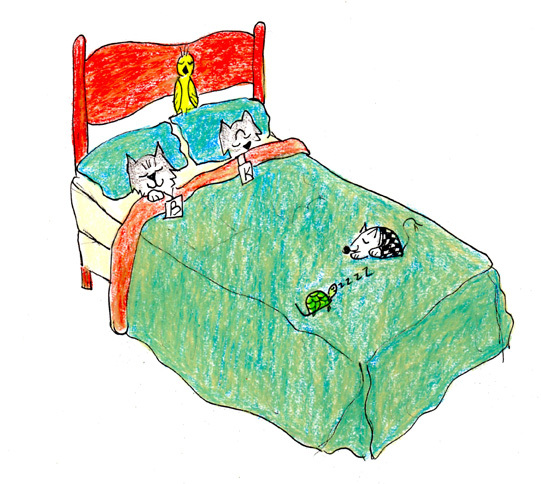 Eat a lot, sleep a lot and play, play,play! Hope you enjoy your vacation!! Whew! We agree, a vacay is in the cards for you guys! 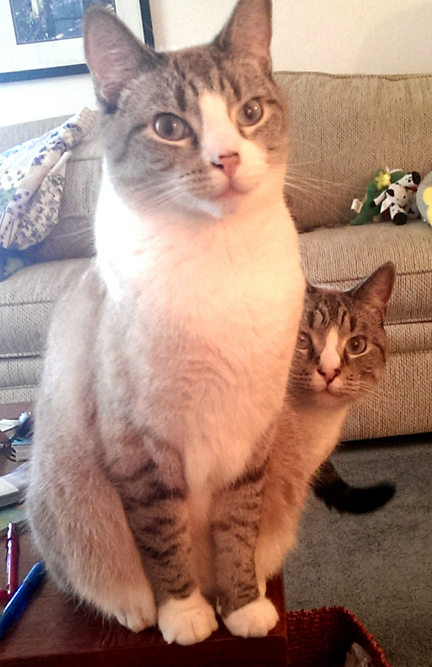 Pawesome double selfie, too!! Enjoy your vacation. And that’s a pawsome selfie, boys. Enjoy your vaCATion! Pawsome selfie! Have a good vacation- I will mis you. Have a great vacation. You deserve it and great selfies!